it is time to turn my attention to another WIP. strawberry blocks for a long time! these measurements on graph paper! And possibly some checkerboard 'filler' blocks too! around than crawling around the floor! 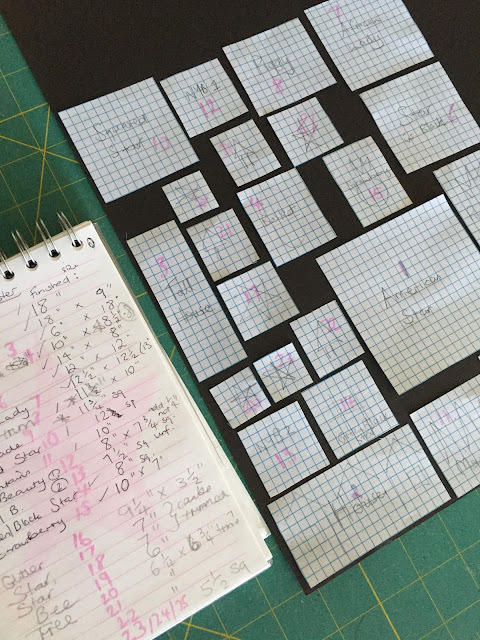 Graph paper is my go-to planning guide. It is going to be wonderful no matter how you arrange it. I'm with you. I like to plan with pencil and paper. 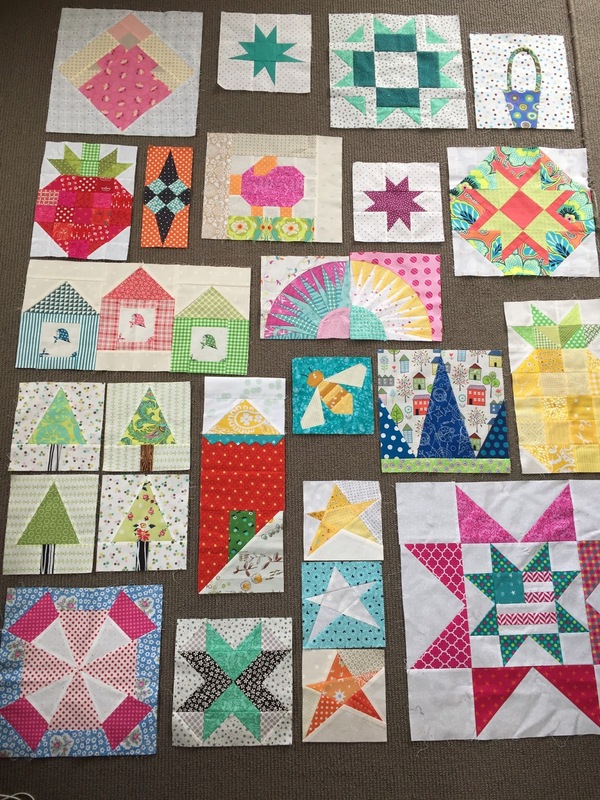 It will definitely turn into an interesting quilt. And now is the perfect time to play with these blocks when there is no work to interrupt. I do planing also by paper. Nothing wrong with that. 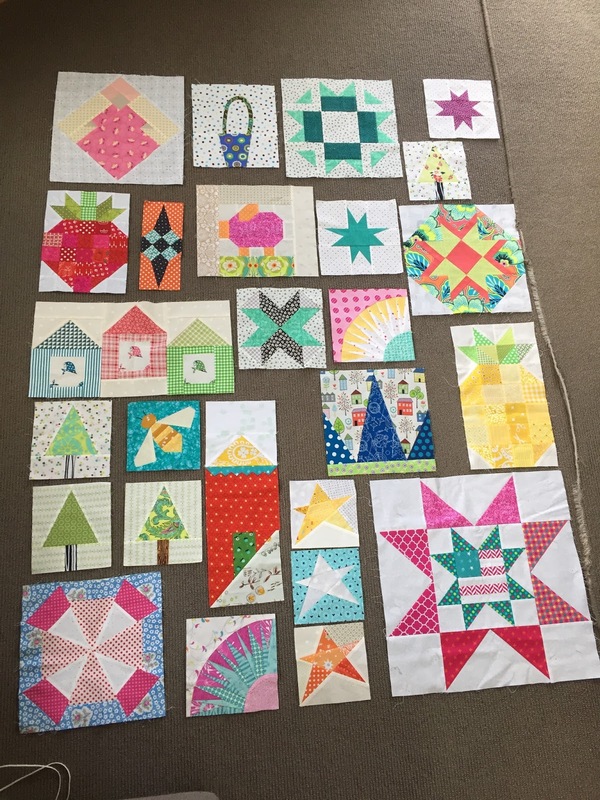 I think this will be a nice quilt later. I woild do the second layout. I like your style! I still draw my blocks on graph paper and I do love your idea of planning a quilt layout with it. 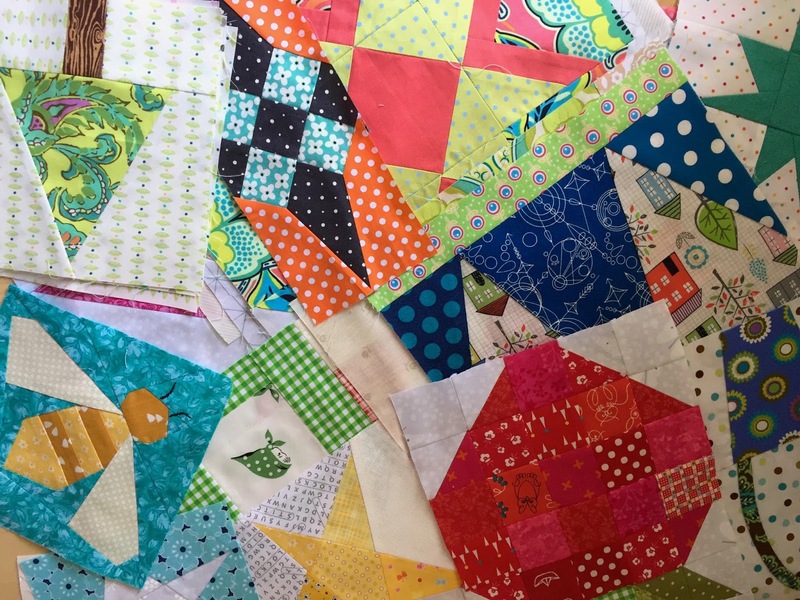 Your orphan quilt is going to look wonderful and fun. Love all of your blocks and they look like they play well with each other. 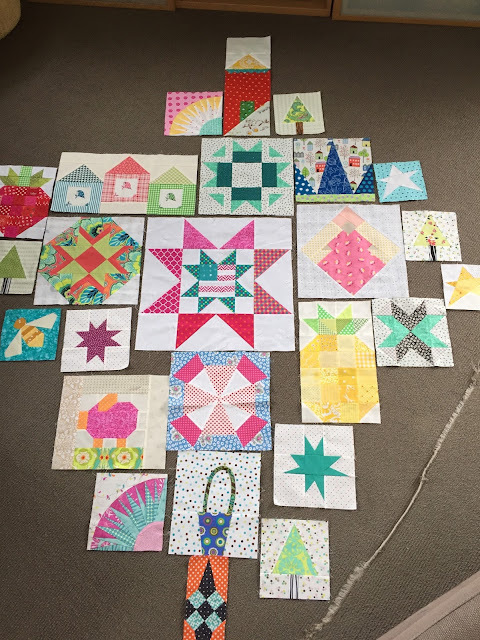 I think it's always tricky to put together a sampler quilt, but I love love how they look at the end of all that hard work! I put mine up on the wall and measure and stitch and sometimes cut blocks down to make them all fit. I'll be watching what you do, as it's such a great idea and a great souvenir of a bee! Thanks for your inspiration. 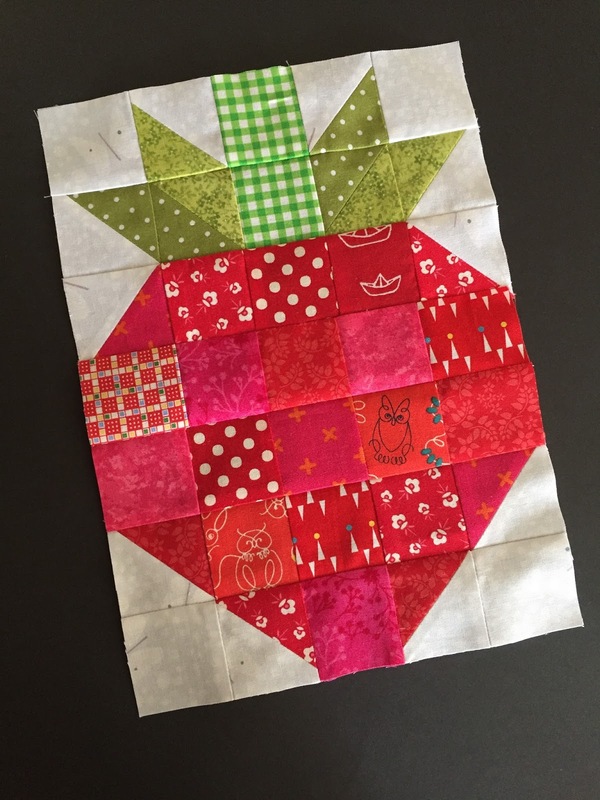 Now I want to make a strawberry block. It is so cute, and I feel I need to get back into humidicrib quilt production again. Commenting two days after you've posted probably means that you've already laid out and pieced the Gridster/Orphan blocks quilt top! :-) But if I'm not too late to weigh in, I'd go with your last layout - the one where it looks like a plus. That's a whole lot more interesting than the other puzzle-type designs. 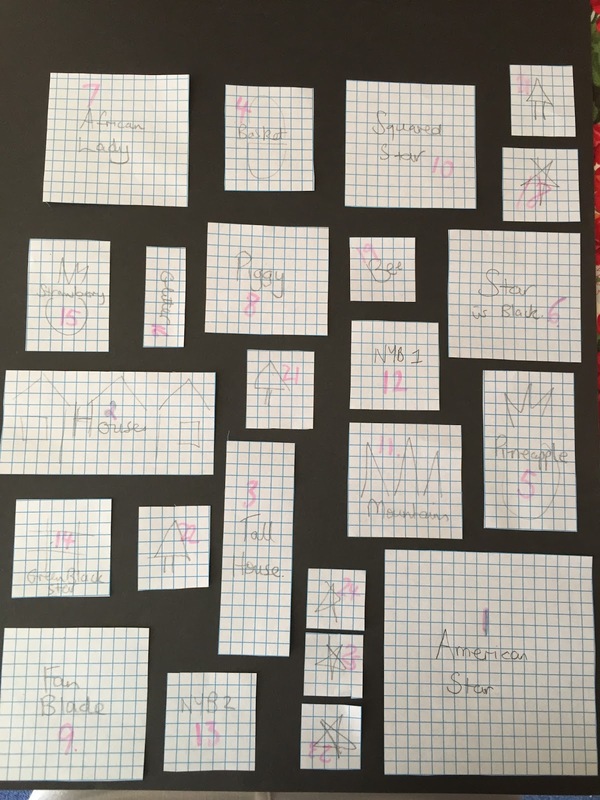 I think laying them out as you have, using graph paper, is a great idea! I would do something like that too, if I was more patient. I'd probably try it in EQ8 first. 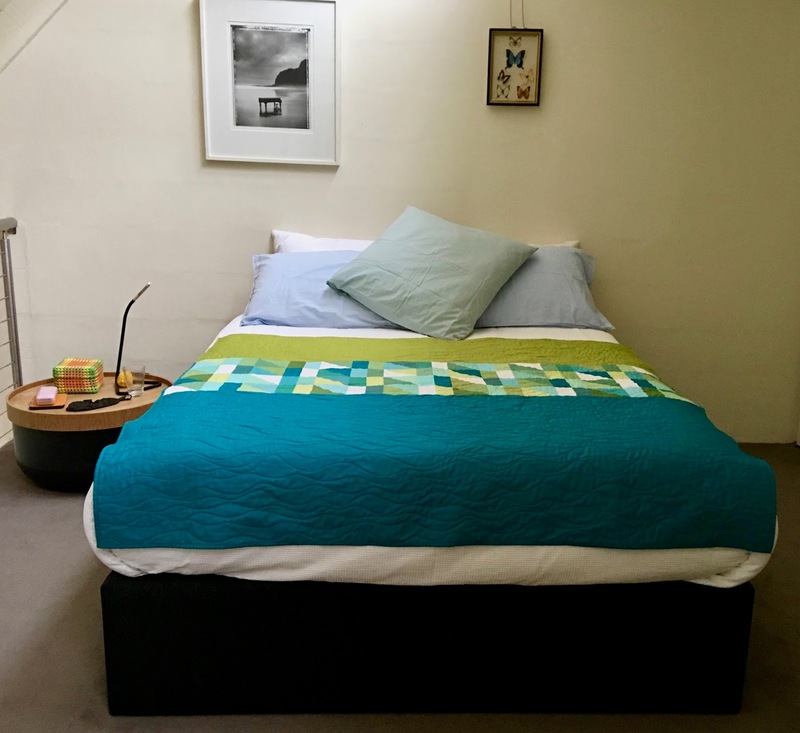 And I STILL love that Sanctuary quilt. It looks fabulous on it's new home! 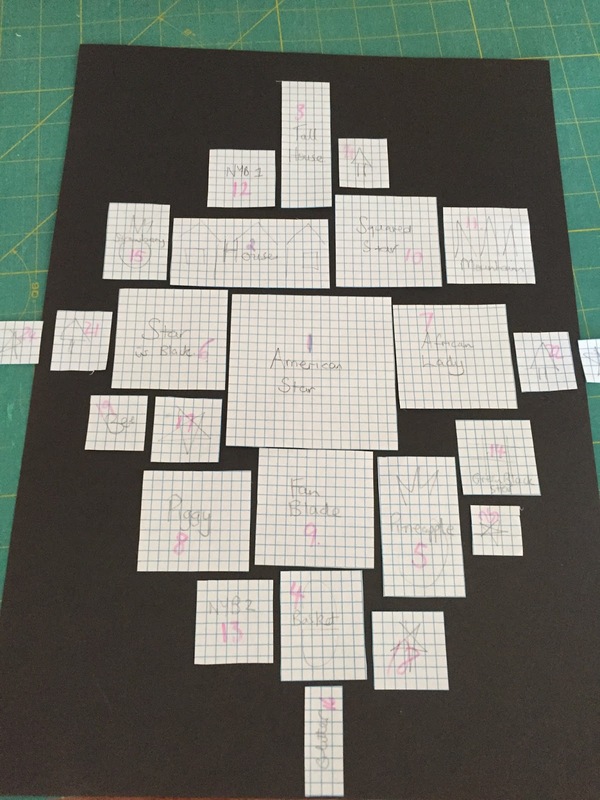 Graph paper shapes is a great idea. A bit like cutting furniture shapes out and laying them in a room for placement. Hope it all works out! You certainly have a lot of fun things on this post....one busy person you are. 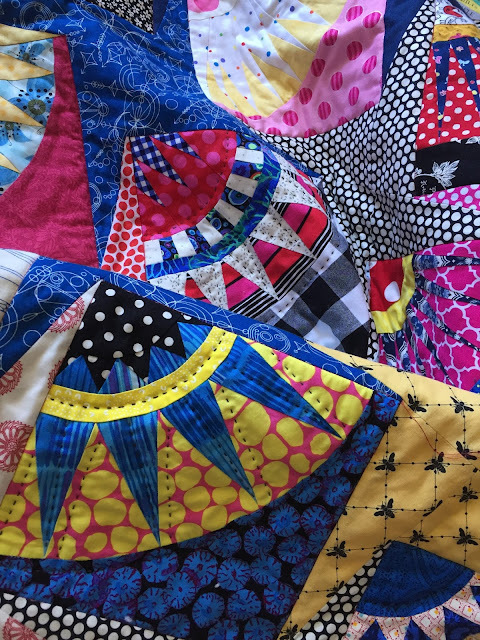 Your sampler pieces will be fabulous! I love your posts! How very clever to cut your graph paper blocks!! 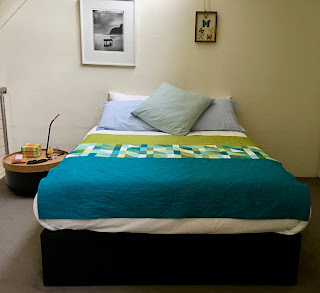 I do that with furniture when designing room, but never thought to when it came to quilt planning. I like using graph paper too (especially when it is hot) for some reason the ideas come faster. I have no input for possible layouts, I do like your layout in the last photo.